- The first rule about Fight Club is :" You don't talk about Fight Club". 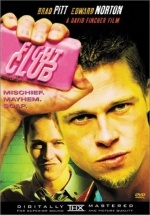 The second rule about Fight Club is :" You don't talk about Fight Club". - Works great even on blood stains.